What is good teaching? Following it up. A few months back I blogged about the process of identifying and sharing the excellent practice that takes place every day in the school that I work (here if you missed it). In this short blog I want to share what our next steps have been. I must say looking back that I am proud of the document that we produced (based on the 10 features of effective lessons that we highlighted as a school). All staff were observed in the spring and summer term and the 10 features were used as the focus of the lesson observation. Strengths and possible areas for development were based on the 10 features. Our AH for school improvement produced an excellent document bringing together the best practice observed in each of the 10 areas. This was very useful and meant that as well as having a page of advice on “constructive Questioning” (for example), we also had many examples of effective practice in the classroom. Feedback from staff has been positive. The 10 features were chosen by our staff so I suppose the feedback had to be positive…. When the document was written and the 10 features integrated into our lesson observation proforma, it was clear that this was just our starting point. 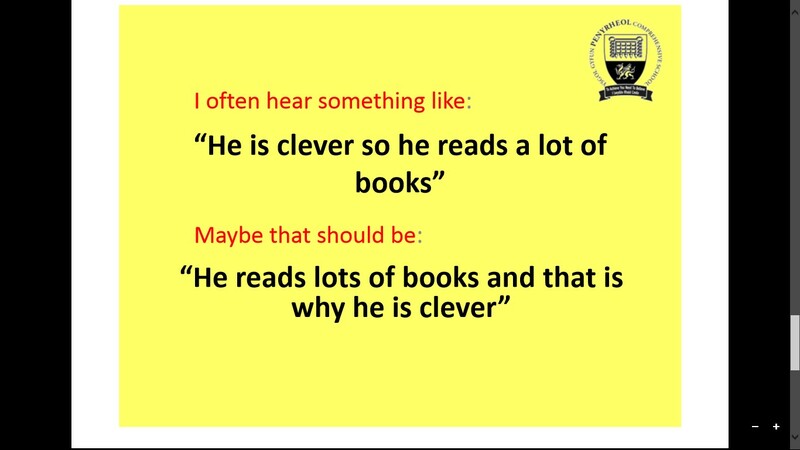 When I published the above blog I got an interesting response from Peter Blenkinsop (@ManYanaEd) He suggested we produce a pupil version. I thought that was a great idea. So this year our intention is to follow up the “10 features of effective lessons” in 2 ways. The first will be to further develop the skills of our teachers (every teacher included) in some of the 10 areas. The second is to develop a learner version. 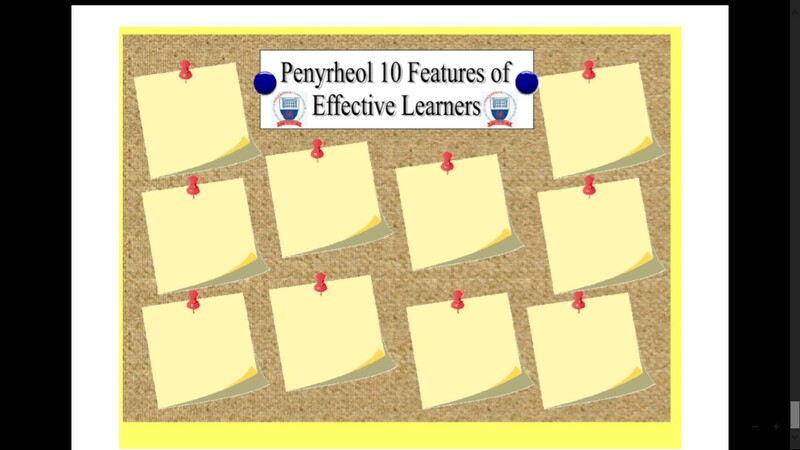 A “10 features of effective learners” that would complement our teacher version. In our homework diaries we have our school rules but there is a gap for “behaviours for learning” and this is a gap we can fill. When our staff were observed in the spring and summer term they may well have had one of the 10 features as an area for development. However, we have decided against “suggesting” that staff attend certain sessions based on the lesson observation. It is far better to have the “buy in” with teachers choosing areas that they are generally interested in learning more about or just having the chance to discuss it in more detail. Some of our staff have signed up for extra sessions. I am going to attend the Constructive Questioning section as this an area where there is more than the normal room for improvement. Later in the year we have discussed producing videos of staff showing good practice in many of the 10 features. Whatever we decide to do we have to build on the 10 features that we have identified. 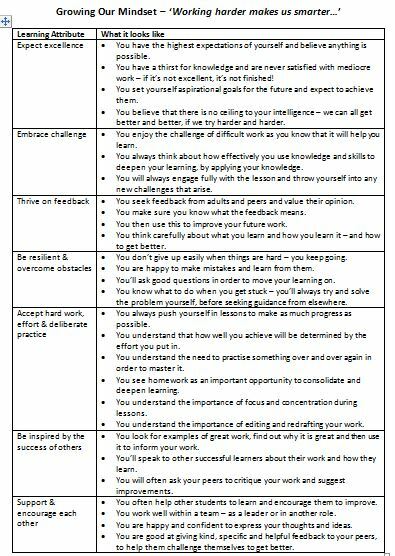 Following Peter’s suggestion I thought about the best way to produce a document for pupils that would be specifically about what a good learner looks like. I wanted this document to go in their homework diaries and up on the wall in all classrooms. Because of this it was important that we got the document right. 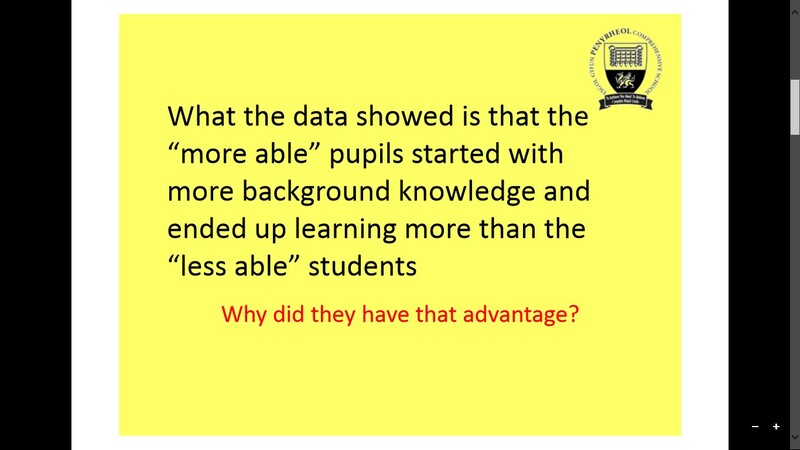 I didn’t want to rush out something that wasn’t good enough or was missing some pretty significant pupil behaviours that are needed for learning. My assembly next week will be the ideal platform from which to launch the creation of this (hopefully very valuable) document. I think that is a pretty important (and very hopeful) message to give pupils. 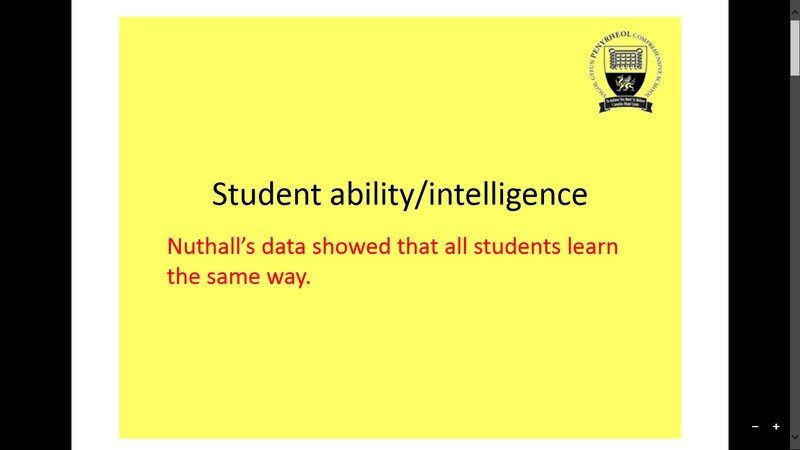 For what it is worth I think Nuthall’s research on ability is fantastic evidence for Growth Mindest. If we can instill in our pupils a genuine “thirst for knowledge” and encourage “learning behaviours” then pupils will have a more positive learning experience (Nuthall put it that they would be better able to generate more critical learning experiences for themselves). 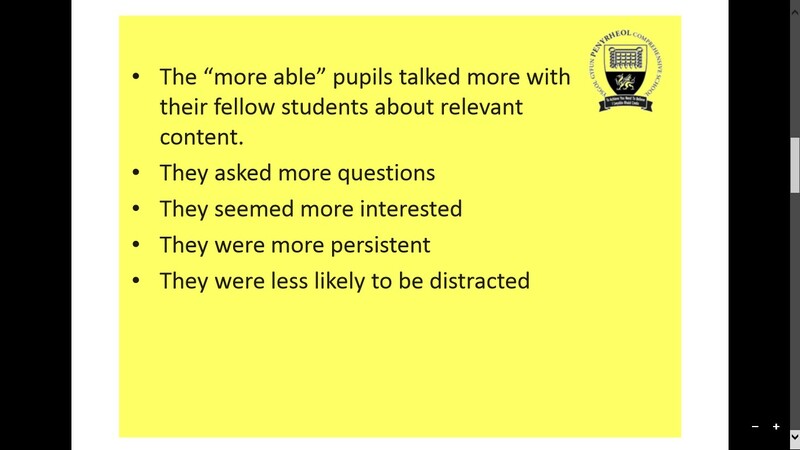 This more positive learning experience (being more interested, more persistent, working harder, asking more questions) will mean that they become more academically able. I will be taking this document to the student council and together we will come up with 10 features of effective learners. 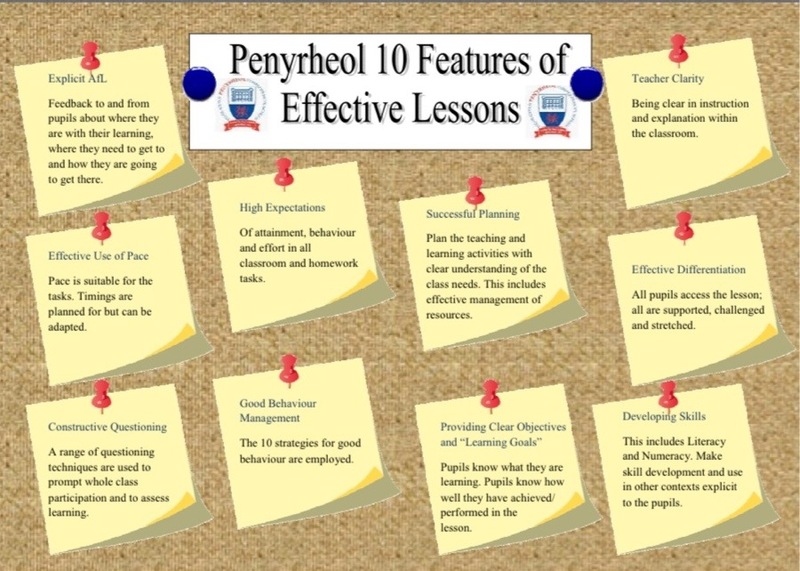 What do Penyrheol pupils need to do inside (and outside) of the classroom to ensure they have the most positive learning experience possible? 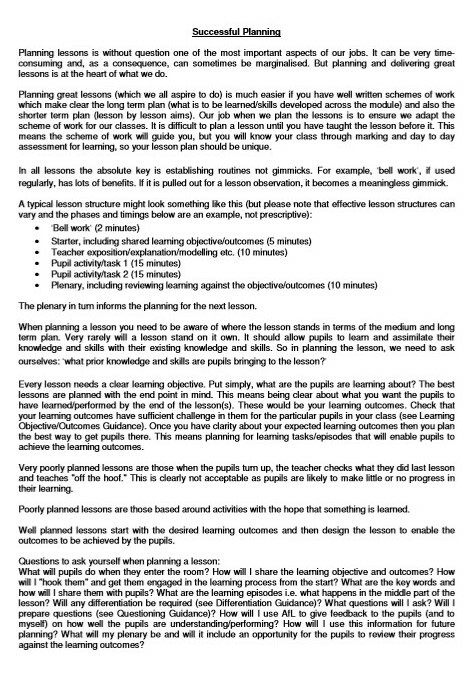 I am going to use this document produced by @shaun_allinson (with his kind permission) from this blog to help guide the pupils in the production of the document. If we could get all pupils to adopt these characteristics then the sky will be the limit!! Of course, getting the document is one thing. “Nurturing” these behaviours in our learners is something else. Our learners are not Memory sticks. They need to be motivated, to see a point, to know what it’s for along the way. That’s what so much of our job is – persuading and showing what they can do with this accumulating awareness of the world. (I stole the last 3 sentences from Andy Day -@andyphilipday- because I could not have put it any better). I will post the finished document once complete in case it is of use to anyone. Thank you for writing the blog. How long is each section of the guidance? Looking at doing something similar at our academy. 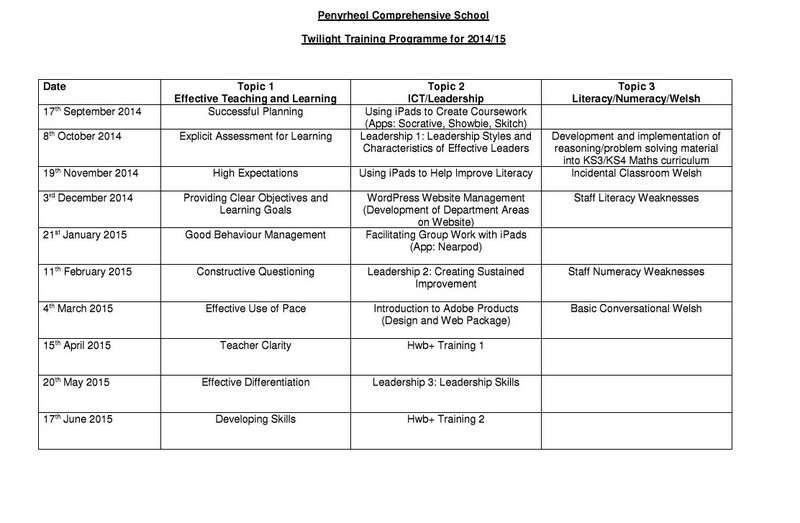 We have come up with our criteria based on our recent t&l audit. Would you share your booklet you produce for staff as an example to show to our t&l team.